For the sake of truth, we journalists know the risk of it. But I never thought such danger would happen to one of us at these times. Most of us in MPC were shocked to know that one of our colleagues, Fernan Angeles of The Daily Tribune, was a victim of an attack Sunday night. As said by his wife, before he became unconscious, he knew who his attacker was…and this was someone influential. We’re hoping for the best that he would completely recover and that justice would be brought upon his assailants. I myself spurred thoughts after hearing much of this incident. Though we’re been rallying against impunity and injustice, made much awareness to the expectant public in incomprehensible speed through social media and other means, and did all the means to make sure that tragic deaths of media men will never happen, there are still many who would dare shut up the mouths of these truth bearers – I, as one of them. But this was not a reason for us to be afraid of what we’re doing. This is our job…and we’d rather stand by telling the truth rather than closing our eyes to it. Ok, let’s admit that most of us are really dared to go beyond the expected thinking, are very loud and even provocative. But we do it to make the public think and rethink. Once the public dig deeper into the obvious, there’s much exposure and it would not be pleasant. This is what they are afraid of…and would dare to stop the quarry before revealing the murky part of their palaces. We, of course, are reminded of the weight of our responsibility. We stand by a code that makes us unbiased. Some of us won’t, though. But, this does not mean that all of us should fall because of who we are and what we do. There are still many cases of media killings that are not solved…forgotten, actually. What are we to do? We are doing our best to let the world know – and remind not to forget my fellow colleagues who had fallen and who are struggling for justice. This is a fallen world, I can say, and for sure more arrows are set out to attack our kind. But it will never stop us…and they’ll never will. Let not these attacks completely gag the truth. They might silence the reporter, but never silence the truth. 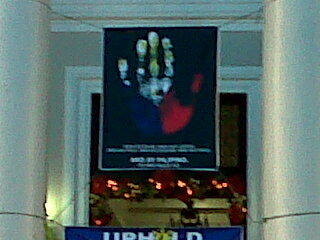 Caption of this poster says: Hindi ako kulay dilaw. Hindi ako kulay bughaw. Hindi ako kahel. Hindi ako kulay puti. Hindi ako kulay luntian...Filipino ako, Ito ang kulay ko. Now, who’s really saying the truth? When you go and listen to both sides, you tend to think more (which is a healthy practice). After dwelling in the executive branch’s side, it’s high time to turn the other ear to the judiciary. Being in both the SC and Palace made me see both sides, but it was yesterday that made me almost convinced to go on Corona’s side: thanks to the crowd who had passionately expressed their support. I don’t know what prompts them, maybe CJ was really a good man. Yet, I don’t want to judge quickly. Perhaps they’re right or perhaps they think they’re right. But only the Lord knows what’s really behind…or in their hearts. All I could remember was that it was another momentous event in history…and we were there to see it. 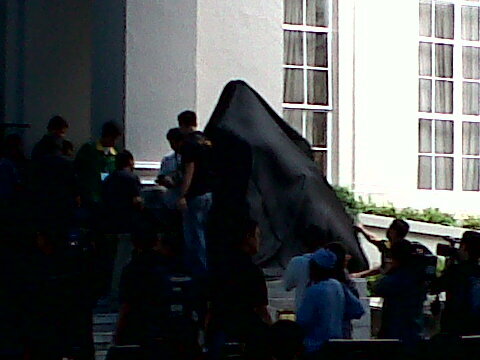 Even Jose Abad Santos' statue was veiled in black...the former CJs in Black! 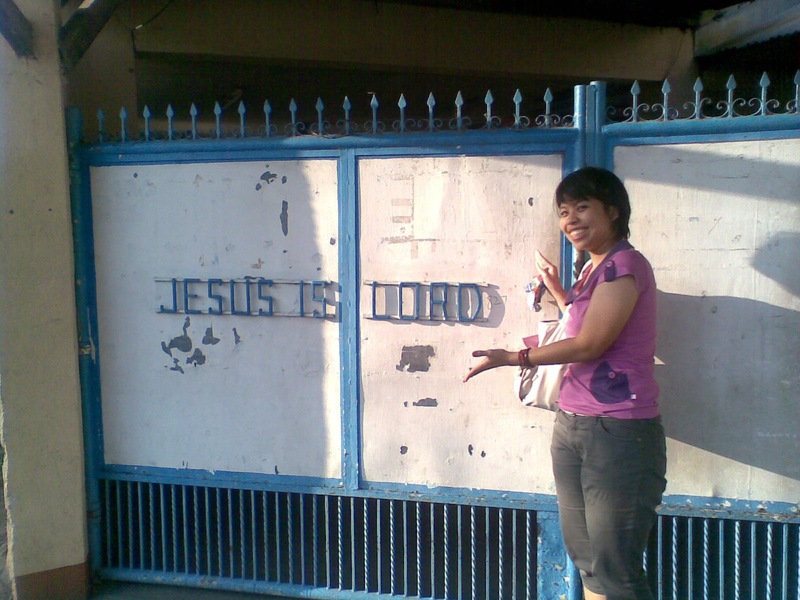 Before the year ends, I want to have a glimpse on the significant events that I’ve been through this 2011. Summing up all the joys and the pains, I can see how the Lord has been faithful to me. Before every firecrackers in Bocaue has exploded, before every pasta and round fruits on our media noche dish is consumed, perhaps I would be given the right to take a review on how my life was this year…with the expectation of getting on deeper waters with Him in the coming year. With tons of what I’ve gone through in the past 365 days, I never thought only a year has passed. 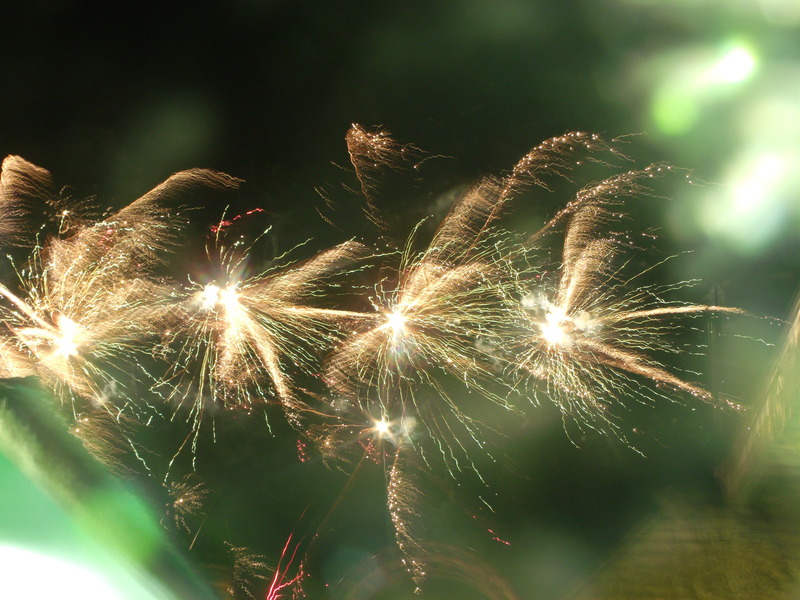 I’ve experienced great shifts at the first part of 2011. With almost a year of being jobless, I only understood the word that the Lord has been telling me on Matthew 6:33, “But seek first his kingdom and his righteousness, and all these things will be given to you as well.” The moment I learned how to trust the Father regardless of my situation then, the moment He opened new doors. From February to the first half of March, I became a part-time Korean English teacher and then on April, I took the reporter’s job in a Christian station. With an overly bubbly but shy personality, I would never expect to land in such a job. 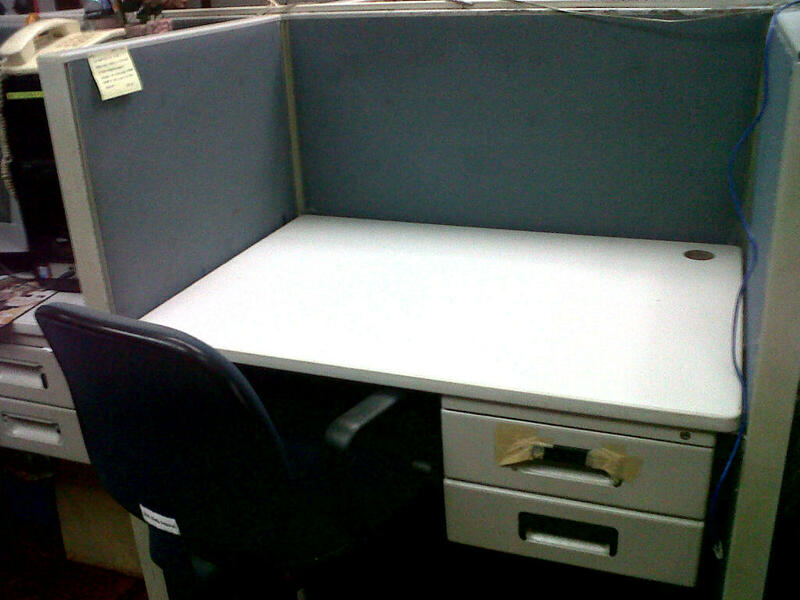 I was a masscomm student, I love the mass media, but I only thought that I was fit for a quiet office job. But I have this free-spirited character deep within that gets easily bored on the same-old routines and locations – just as I had in my first job in the BPO industry. What’s more shocking was my beat: although a cub reporter, I was assigned as a presidential reporter. So everywhere the president goes, I would tag along (expect for far-off locations). It’s an exciting and yet a stressful beat. I hated politics, but soon enough, it was slowly being instilled in me. I began to understand the technicalities of the law a bit…but I know I have still a long way to go. 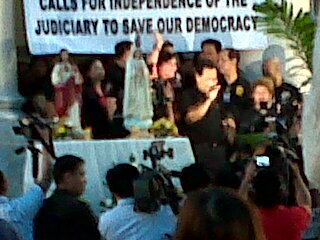 And my favorite: the clash between the President and the Supreme Court Chief Justice Renato Corona. 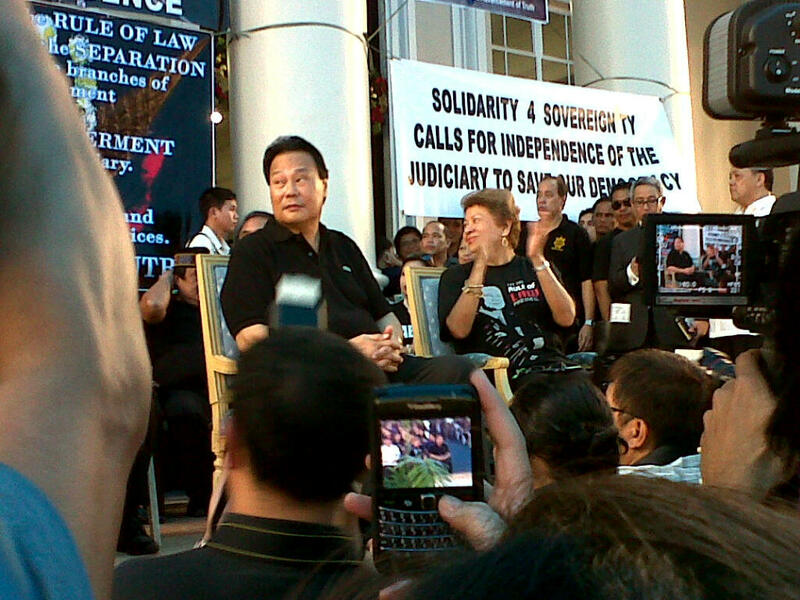 Twice, I’ve witnessed how the president criticized the chief justice. 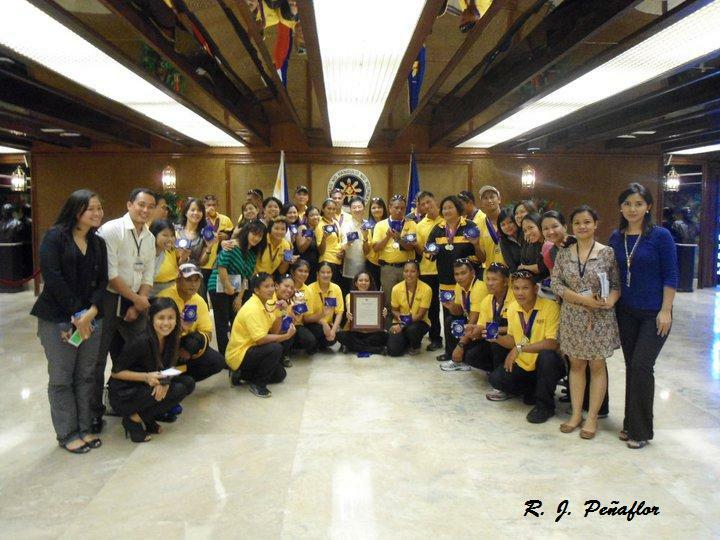 It is my fellow reporter who witnessed Corona’s speech against the executive head of the nation. Also, I was in the Senate to witness the senator’s oathtaking on the impeachment trial. Being a reporter is very exciting. But these events are not something to brag about. I would love to share the stories and even the bloopers in our news team. The one thing I love and have been learning on being a reporter is the importance of communication and connection. I have not mastered this yet, but I can see how the Lord is breaking me out of my shell to reach out, not only make friends, but for territories to be enlarged for His glory! Waiting for President Aquino at Calumpit, Bulacan for his visit to the flood victims on Oct. 5, 2011. 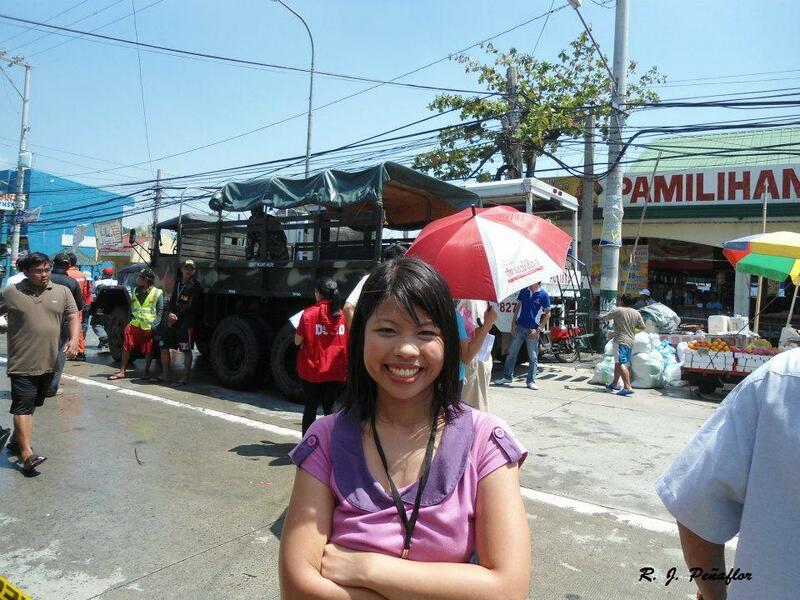 Behind me was the truck that he rode to inspect a small piece of the flooded area. But I also have a lot of failures and refining sessions on-going in my life. I need to value authorities in my life. I need to lessen my happy-go-lucky attitude and my complacency that hinders me from growing in skill and in my prayer times. I need to accelerate in my writing skills (as I always have a hard time in Filipino news writing – ack! The irony of living in my own language! 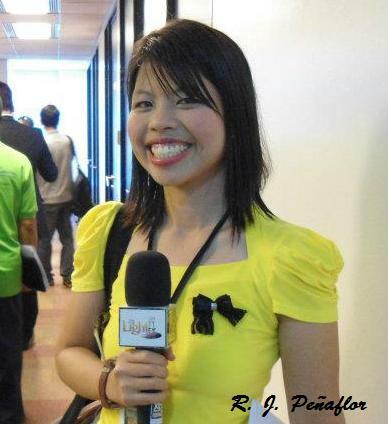 ), my communication skills, and my competency as a media person. I want to learn more and I want to be trained more. Enough is not enough. But the thing I’m after for is my intimacy with the Lord. I want to have a deeper relationship with Him. It’s not enough that I pray, read the Bible, go to church like tradition. Living in and with Christ is no tradition! It’s a lifestyle! I want to hear His voice, see His face, and know His heart. What is a life without Him? One day, my career in media will be gone, but let my love for my Beloved remain in eternity! I’ve received a lot of material blessings. I’ve gained favor. My family experienced open heaven – not only because our home’s storehouse was filled with sacks of rice – but we let the blessings flow to others. I was touched on how my mother’s prayers were answered. What do I expect in this coming year? I believe there will be a new shift in 2012. My prayer is that I will be more refined than now, braver and bolder than I’ve ever been and will be a Daniel for His glory. I pray it is Jesus who will be seen in my life and I ask nothing else but to see His Kingdom come in my beat, in my church, in my nation, and in my life. A few hours to go! I believe I will be going into unknown waters. Am I ready? I will only be ready if the Lord holds me close. One thing I am always reminded: It’s not by might, nor by power, but only by His Spirit that I can face the future with Christ who strengthens me. Now, I know what it means to stand for what you believe it. To go against the tide is going against the normalities of life. To stand up for God’s beloved and for His Word is queer for many. Such is utter foolishness to the eyes of the world and its governments. Yet, not to the eyes of the King of kings. I once thought that being a Malacañang beat reporter was easy. But I began to sense fear when I began associating with the other known personalities, mostly with some of the presidential speakers. I’m fully aware that adding connections means risk – a risk that takes me out of my comfort zone of being neutrally complacent from any side of the issue. And so comes my side to be with Israel in the Palestinian statehood appeal at UN. I have to speak and yet I was afraid. Not everybody’s interested in this issue. When I asked it in the Daily Press Briefing, the other journalists laughed at me because it was so off to our usual national concerns. What does the Philippines benefit from Israel, they might think. It’s obvious that siding with bigger Arab countries give us more advantage as there are more OFWs risiding there compared to Israel. Yet, they do not see the consequences of taking sides against Israel. Biblically, Israel is a blessed nation. The promise that the Lord gave to Abraham, the statement that said “I will bless those who bless you and curse those who curse you”, is still in effect today. Now, who says that it is null and void? Some claim that the Bible says so because the blessings are now in the Gentiles and not in the Jews anymore. But, that doesn’t mean that God has forgotten His promise to His people for He said that He will come back and forever He is their God. They may have been very stubborn, but still they are a promised people and it is in their land that Jesus will establish His kingdom when He comes back. A seed has been planted. I may not see results if the appeal has gone to the president, but let God bless those who stood up for His beloved. …and should I perish, I perish. May the Lord justify the seed He had let me planted in this place. It’s the first time I’ve witnessed an oath-taking ceremony of newly-appointed government officials in Malacañang itself this Monday. After the President lead the ceremony, he would pose with these officials along with their families for posterity’s sake. But all these are too common for me, as it goes like any event in the palace. 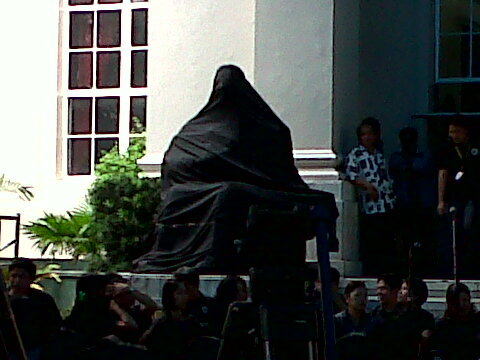 What caught my eye were the little kids that were brought along for the oath-taking event. As family members of these officers, they were given an opportunity to take a pic – and a memory of standing close to the President of the Philippines. After the photo shoot, some of them had ran along the aisles, giggling and dancing as they are not aware of the stoic ambiance of the president’s abode. They’re just kids, after all. I wonder how big can the impact of politics be to a little child? Growing innocently in a crucial environment, they are not aware that they are absorbing the very essence of politics until they’ve fully embraced it once they come of age. Noting several political dynaties, most of the leaders we have today have grown in families that owned a portion of the state’s power, if not the whole state at all. What they are today is caused on how they were molded and what they were exposed to during their formative years. Yet, they once knew nothing and once they felt the gravity of power and influence they affirm it as their own. I must say, if I would see something like this years ago, I might hate them. I must admit, I used to have insecurities myself. I hated people of influence. I hated people of power. These kids, like the ones I’ve known in my elementary years, have the tendency to be proud. They seem to have the right to brag, especially that they have the access to allies of wealth and power. But, I myself have been proud. And that is the pride of the worm. Yet, who am I to blame them? I have no right. Some of them may become proud of their heritage, some of them may stay behind the limelight, but we all become what is absorbed into us. We may become popular or notorious to the public eye but what really matters in how God sees us. He may or may not have brought us into politics but in the end, whatever has been lent into us, even the influential ancestry that has been handled down into our hands, will soon pass away. It will just be between us and the Lord. How we see ourselves into His heart is all that matters, for we are created only for Him. Sadly, most of us do not see what we are in God’s eyes. I hope these kids will grow knowing the purpose they are made for. Indeed, one might say, “I believe in God, I go to church on Sunday, etc, etc,” but it’s not the rituals He’s looking for. It’s our relationship with our Creator and how close we are to His heart. They are the same as I am: a people of worth and a people worth dying for. That’s why Jesus died on the cross. Now, I have to learn how to love them as my own for they are just like me: my Father’s creation. Besides, I also have my own childhood memories of Malacañang. I had toured the museum part during our Grade 3 educational trip haha. But, nothing beats a good smile beside the nation’s Commander-in-Chief. 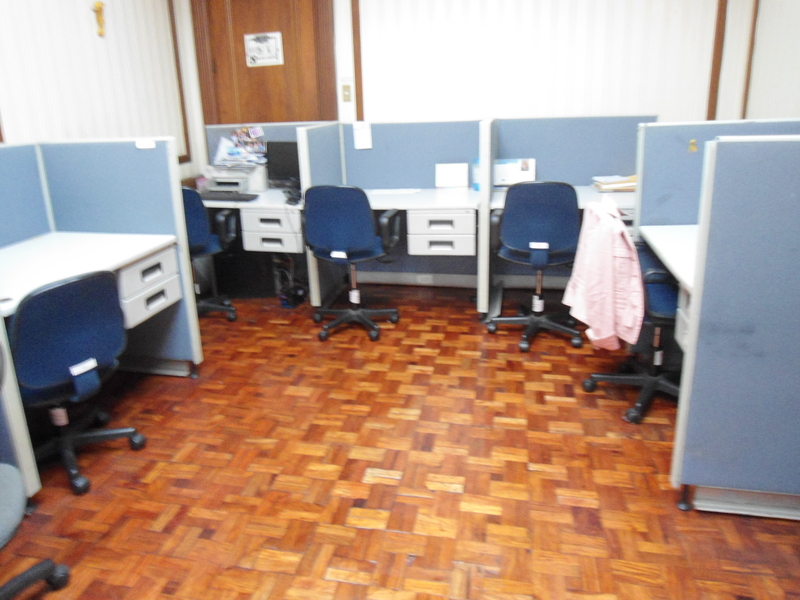 Here I am sitting in the empty working press area in Malacañang Palace. It’s a Friday, and the other reporters were just waiting for the early hours to wane along until it’s time for our daily press briefing. I usually love sitting alone while waiting for nothing, but a part of me sulk for not tagging along with President Aquino in China.